How do you turn a scruffy but working classic into a top class ‘Condition 1’ classic? We’re here to answer the question in the March 2017 issue of Practical Classics. We’ll bring you the best advice from industry experts and from our team of restorers. Meanwhile in this latest issue, there’s a stunning Mercedes 190SL restoration and a host of staff projects to read about – plus an array of very useful tips on how to repair and maintain your classic. Plus we put our money where our mouths are – by buying classics and heading out on the road. There’s no other magazine like it! Available to buy in all good supermarkets and newsagents now! HOW TO TURN YOUR SCRUFFY CLASSIC INTO A CLASS ACT! 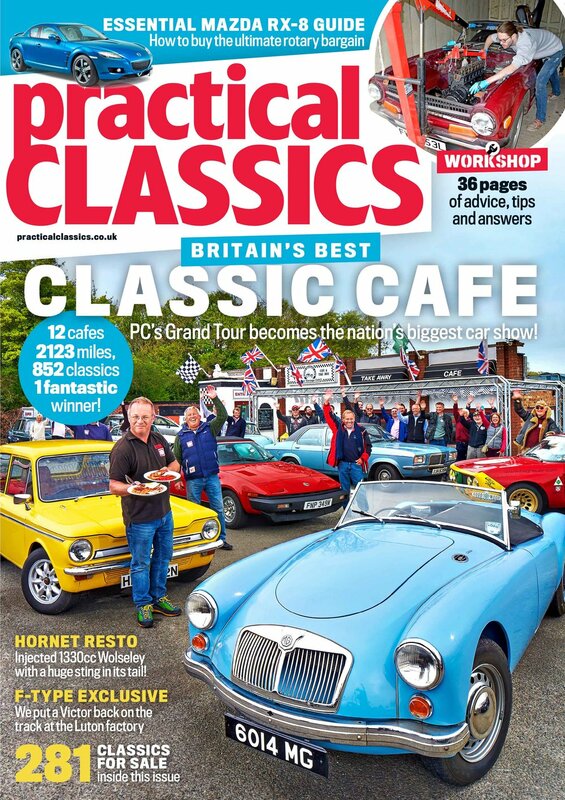 We tell you how to turn your scruffy but usable project into a top class classic in the March issue of Practical Classics. Most of us own, fettle and drive a classic car because it’s something we love. During our custodianship, we generally aim to improve the down-at-heel; make rigid the perforated; engineer tautness from slackness; and reinstate lustre where once there was oxidisation. We be take you through our ten suggestions to gain inner strength, become body beautiful, and finally market yourself for the best rewards. Grab a cloth, we’re going into the workshop. We may be a while! She’s achingly pretty, one of those heart-thumpers that silently grip the eye of the gawping admirer, reeling you in. But a car like this requires a six-figure-sum kind of guy, right? Surely she’s aristocrat territory, one for the privileged few or the brain surgeon of a classier age? Stripping the vehicle to bare metal naturally revealed a few areas of deep corrosion. 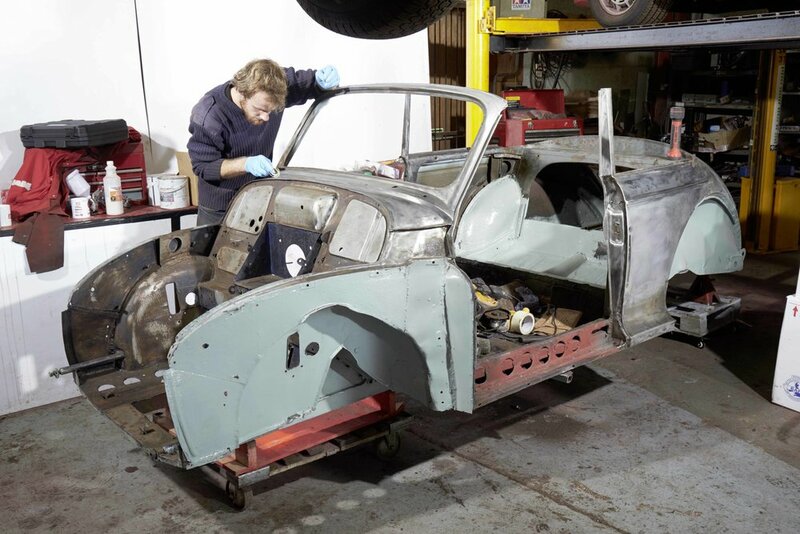 Like the 300 SL, the 190’s aluminium boot lid, bonnet and doors (and dash top) all help trim a few pounds off the overall weight and resist the rot, but it’s a different story for the rest of the car. 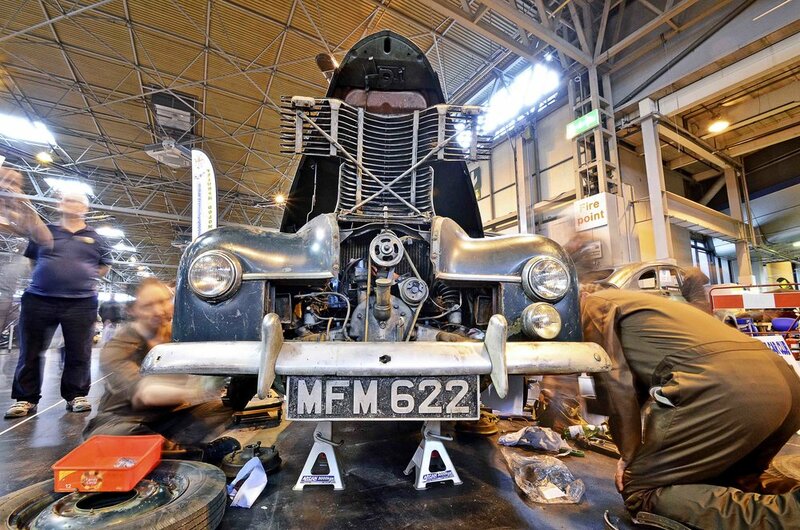 The Practical Classics Classic Car and Restoration Show, held 31 March to 2 April at Birmingham’s NEC, is just around the corner, and it’s shaping up to be a whopper with guests including Mike Brewer, Fuzz Townshend and Ant Anstead. It’s the UK’s fastest-growing classic car event, a focal point for everyone with a passion for keeping Britain’s motoring heritage alive, no matter what kind of classic cars you’re into. More than 130 clubs will be bringing the most fascinating and beautiful cars at their disposal, totalling more than 700 vehicles altogether and ranging from concours to complete wreck… the latter having pride of place in our dedicated ‘Barn Find’ display! 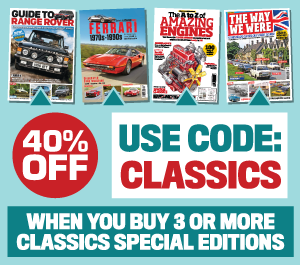 Loads of classics of all eras and types this month, from the discovery of a Maestro in a skip to the complete stripdown restoration of a Morris Minor. Then, there's the amazing barn find Citroen DS! Will it work after 35 years stuck in a shed? Also in this issue, our Tomkins tries to decide between an MX-5 and an MGF and James sells his Austin Ambassador to a man from Scotland. Our Matt George tries to convince passenger James Walshe you can drive a Stag to Paris. Full story in the latest issue of Practical Classics.